The changes from the Paris show car are subtle but comprehensive. Most notable, the C-HR has grown a second set of doors, though the silhouette remains the same. The body is aggressively odd-shaped, with distinctly flared fenders, a Scion family face matched to a rounded and curved hood, a piano-black roof over a sharply defined passenger cabin. 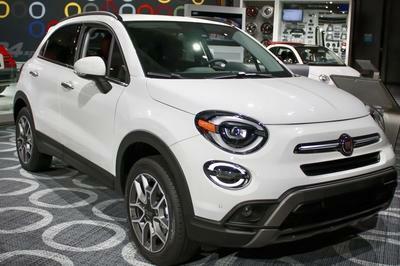 The doorsills are broad, suggesting running boards, and the rear sports freestanding taillamps and a convoluted yet compelling fascia. 21-inch wheels feature flat-edged cutouts meant to suggest the facets of a cut gemstone. Scion hasn’t revealed much of the interior, but the C-HR design study features a conventional cabin that seems to have borrowed more from Nissan than Toyota. A single round instrument binnacle flanked by auxiliary gauges, a large central information center and body-colored interior panels all look production-ready, further confirming the C-HR’s greenlit status. 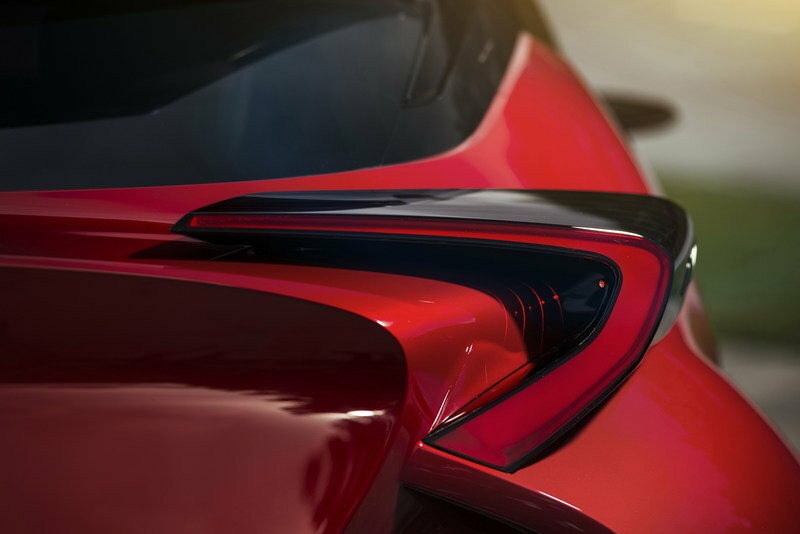 The C-HR is built on the Toyota New Global Architecture (TNGA) which underpins the new Prius. This platform provides a low center of gravity and performance-enhancing body roll control. 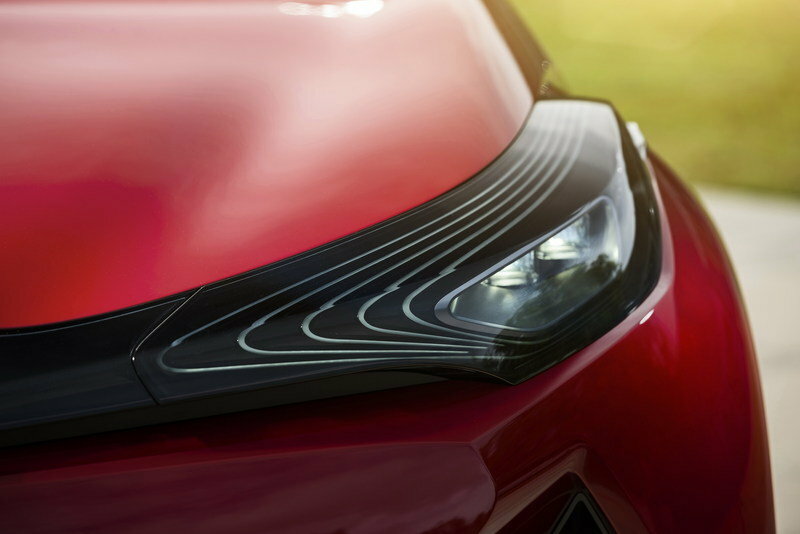 No announcements about powertrains have been made yet, but the TNGA platform is designed to be used on most of Toyota’s next-generation small cars, so anything from the tC’s torquey 2.5 liter four-cylinder to a hybrid powertrain is possible. 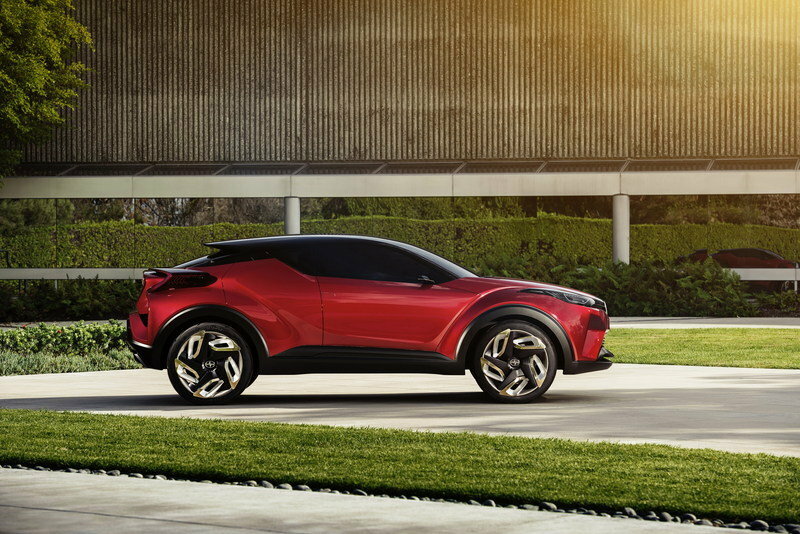 Scion is reported to be strongly considering a hybrid, which would make the C-HR a double-groundbreaker for the brand. There hasn’t been much doubt that the C-HR would see production; the most pressing questions were if it would be a Scion or Toyota, and to what extent the styling would be watered down. The Scion C-HR answers the first question, but it’s still just an update on the existing concept, not a final production model. Will Scion keep its edgy looks, or will the brand that’s not afraid to be “a little weird” back away from the radical styling between concept and production? Stay tuned. As crowded as the small-crossover class is getting, Scion’s best bet may be to go wild, just to stand out from the crowd. 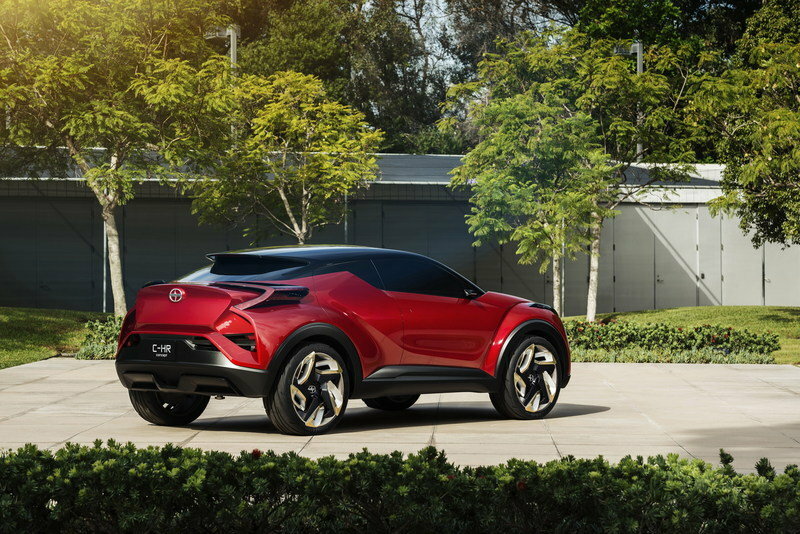 When the designers for the Scion C-HR Concept began their research, they were told by young urban creative customers, “Polarizing is ok. Boring is not.” That sentiment was evident today as the Scion C-HR Concept had its World Debut at the Los Angeles Auto Show. 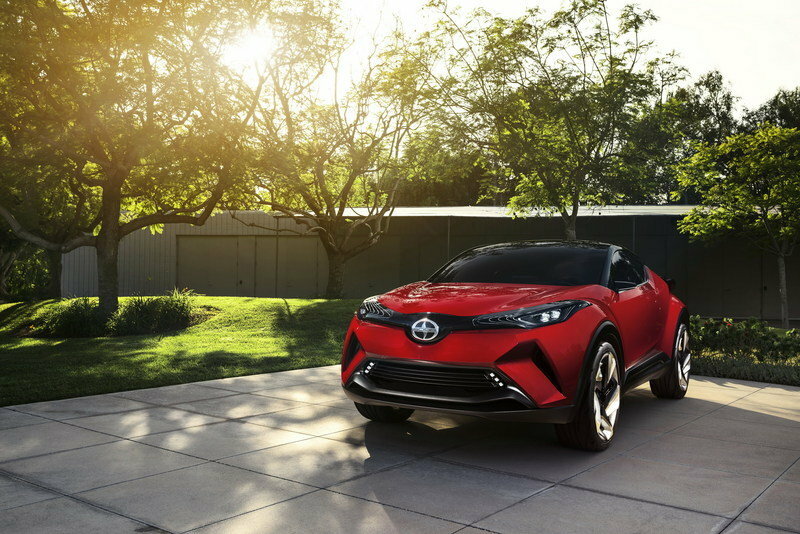 With an iconic design that also incorporates functionality and sporty performance, the Scion C-HR Concept is much like Scion’s customer in that it strives to stand out from the crowd. “Scion is known for doing things differently, and maybe even being a little weird,” said Scion Vice President Andrew Gilleland. “This C-HR Concept embraces that idea and wears it like a badge of honor. We couldn’t be more excited to add the production version to our line-up.” The C-HR Concept is named for its Compact size and High Ride height. With four doors and a hatch for supreme functionality, it’s the perfect vehicle for “yuccies,” the young urban creatives who inspired the design. These customers put an emphasis on great design and wanted something distinctive, sophisticated, passionate and clean. 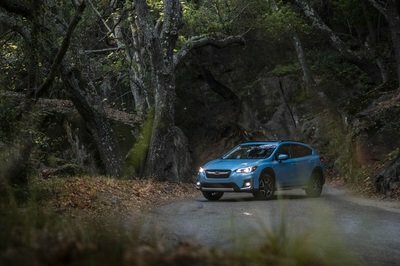 They viewed most SUVs as too boring and wanted something for their urban lifestyle that sparked emotion. Participants in the research identified images that had a harmony of form and function: sleek chopsticks made from recycled materials, an earthy but modern terrarium, and a cutting board with grid lines for precise slicing. 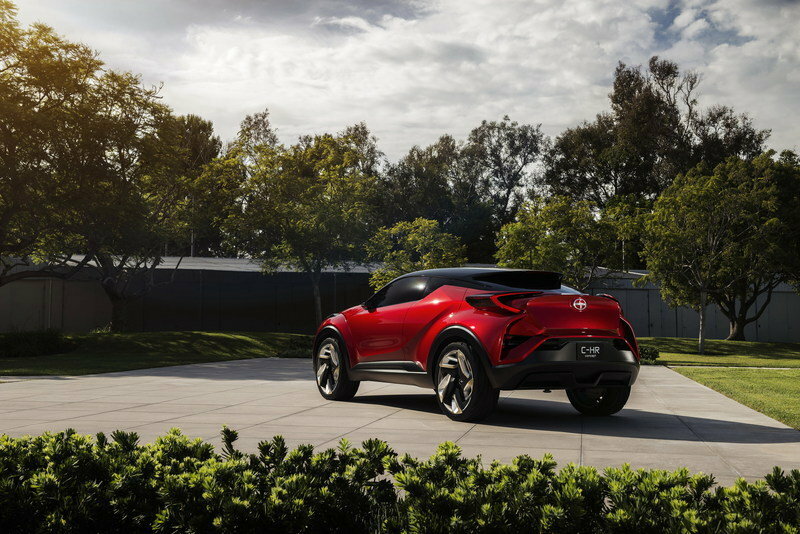 Given that creative license, Toyota’s international design team embarked on a design that not only makes a statement, but reinforces the C-HR’s purpose as an urban lifestyle vehicle. Taking inspiration from a diamond with sheered sides, the C-HR cabin is like a precision-cut gemstone. From the overhead view, the diamond points have been sharply cut in the front, rear and sides, giving view to the round fender flares visible from every angle of the car. The lower body is sensual and instills strong emotions while the chiseled, faceted cabin suggests protection, giving the C-HR contrasting features that satisfy two desires. Graphite black accents on the grille, rear bumper, fender flares and lower side panels reflect the strength and stance of the vehicle. Meanwhile, the all-piano black roof enhances the C-HR’s sleek and stylish profile. The 21-inch wheels continue the cut gem theme and feature spokes with chiseled cut-outs shaped with the car’s profile in mind. 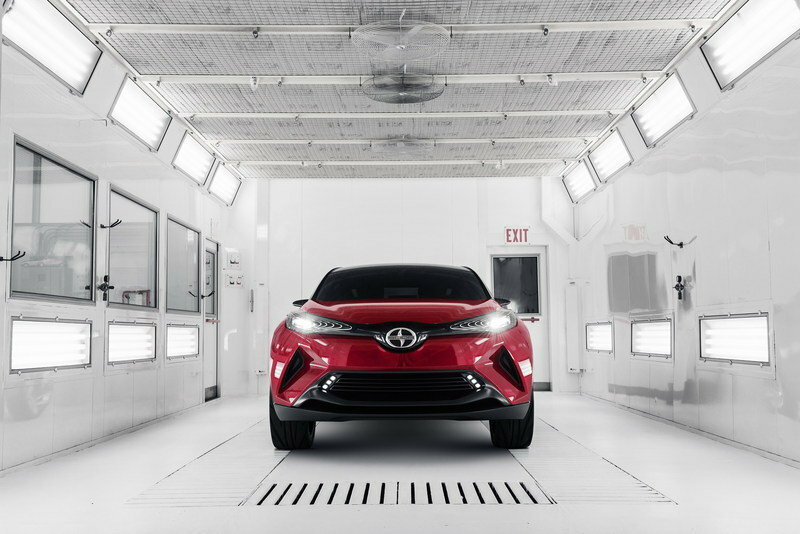 Underneath the captivating design of the C-HR is a platform featuring Toyota’s New Global Architecture (TNGA). 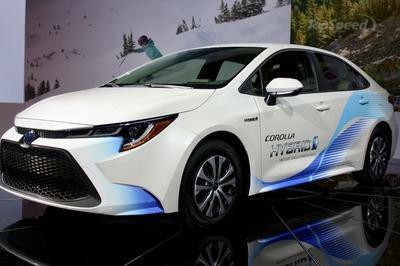 TNGA is an innovative and integrated approach to developing new platforms and powertrains for Toyota. It creates a lower center of gravity, increased body rigidity, more responsive handling and improved ride comfort. The increased body rigidity reduces body movement and roll in cornering. This allows for better ride comfort while maintaining dynamic performance. 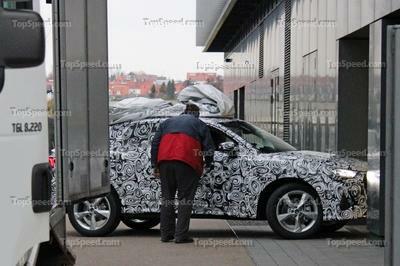 Improvements will be felt through responsive handling, agility and straight-line stability. “Even though the C-HR has a high ride height, our focus was on creating a fantastic urban driving car,” said C-HR Chief Engineer Hiro Koba. “My favorite place to be on a weekend is at a race track and I wanted to build a car that I would have just as much fun driving in the city during the week with refined driving comfort and responsive, precise steering.” More information about the timing and technical specifications for the C-HR will be available when the production version debuts in 2016.